Image on Twitter by @radebe_jeff. 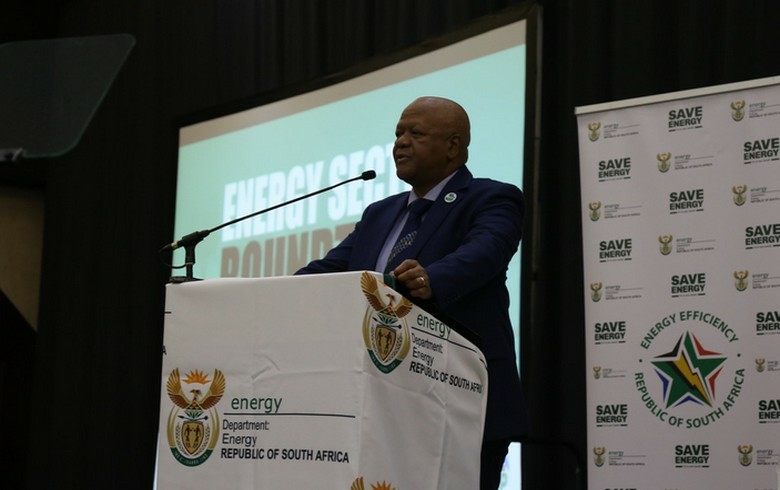 June 4 (Renewables Now) - South Africa plans to launch a new bid round under its Renewable Energy Independent Power Producer Procurement Programme (REIPPPP) in November 2018, according a published speech by energy minister Jeff Radebe. Radebe said on Twitter on Friday that the round, with an estimated size of 1,800 MW, will be launched in the current year. The new bid window will involve similar technologies as in the expedited bid window. An expedited bid window seeking 1,800 MW of capacity was announced in 2015. It was open to unsuccessful bids in previous rounds but its completion got delayed by an impasse with domestic utility Eskom over the signing of new power purchase agreements (PPAs). A total of 27 delayed renewable PPAs were finally inked in April this year. "The expedited bid window has expired and therefore it is necessary to embark on a new bid window, which gives an opportunity to drive the socio-economic transformation agenda," the minister said in the speech at a stakeholder engagement event in Midrand. The minister said that the "intention is to enhance local manufacturing to ensure investment and economic growth as well as the opportunity to encourage opportunities for black industrialists and the development of black independent power producers." There will also be requirements for women-owned business participation and opportunities for the youth, Radebe added.